Scottish Marine Data Management & GIS Workshop gains plaudits! 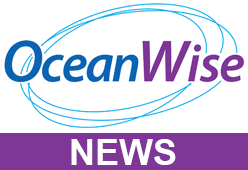 OceanWise > News > Uncategorised > Scottish Marine Data Management & GIS Workshop gains plaudits! OceanWise hosted another successful Marine Data Management and GIS Workshop at the Royal Society of Edinburgh on 23rd May. Attendees representing Government, IT, Environment and Conservation, Engineering, Ports, Energy and Aggregates sectors were treated to a great programme covering topical cultural, scientific and technical matters of importance to Scotland. Diana Murray, ex-CEO of Historic Scotland provided a fascinating insight into the rich cultural and historical heritage of Scotland’s coasts and offshore areas. Tony Birr, of State 21 spoke about the need to develop Risk Assessment and Emergency Response plans for our Coasts, Ports and Harbours to offset the increasing threat posed by organised criminals as well by accidents, incidents and disasters. Such plans must be based on accurate and up-to-date geospatial data to ensure that you can plan adequately and be “Prepared for the Unexpected”. We heard about the large expansion in the volume of marine data being provided to UK’s Marine Environmental Data and Information Network (MEDIN) Data Archive Centres (DAC’s), by both public and private stakeholders for safe curation enabling wider access and re-use. SeaRoc Group showed how its SeaPlanner management software is delivering real logistics efficiencies to offshore energy projects. OceanWise highlighted how its Port-Log.net services are developing taking in new data sources and delivering real-time access to environmental data and BGS described its new products and services developed to meet the needs of users requiring higher resolution marine geological and geomorphological data. Marine Scotland Science and Scottish Natural Heritage provided insights on how OceanWise Marine Mapping data supports Marine Spatial Planning and tracking the movements of fish in relation to Marine Protected Areas. The workshop finished on an upbeat note that “data really does matter, so look after it!”. That said there is more work to be done to ensure this happens.